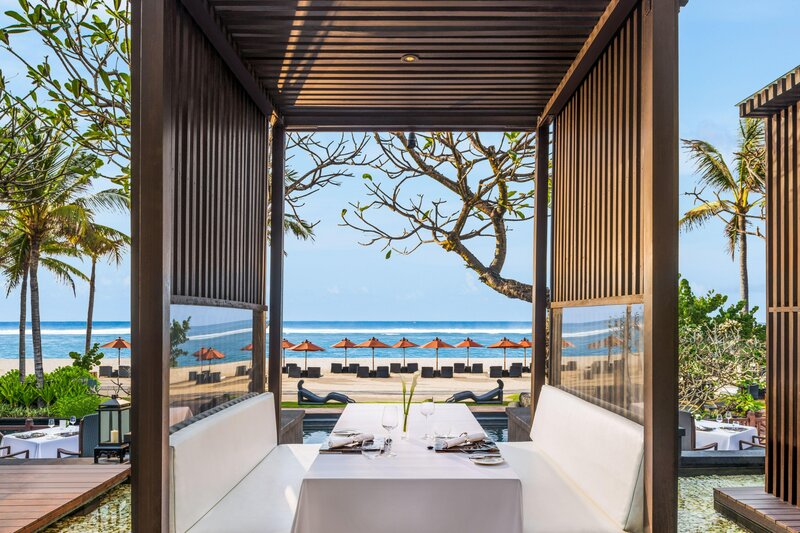 Uninterrupted views of Nusa Dua’s most spectacular beach offer a dramatic backdrop for the restaurants at The St. Regis Bali Resort. Whether you are starting your Sunday with a sumptuous brunch on the terrace at Boneka or pairing authentic Asian delicacies with captivating ocean views at Kayuputi, you will find the ambiance as fresh and invigorating as the cuisine. 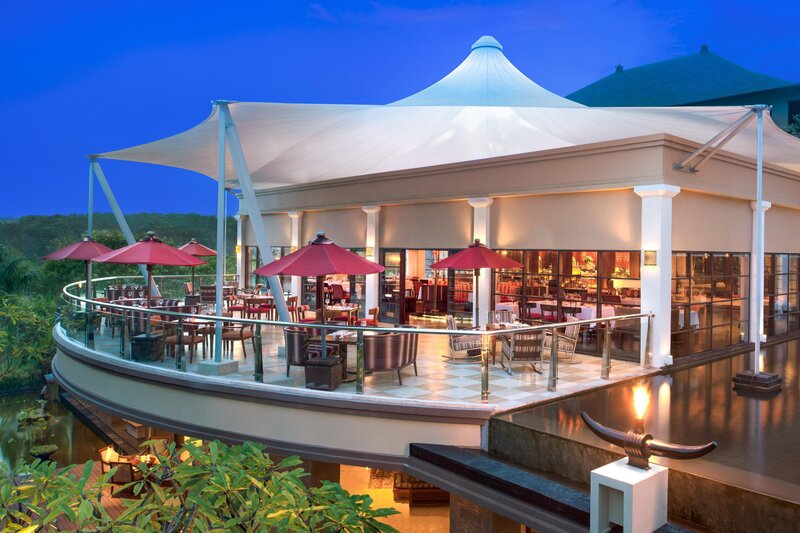 In the shade of Dulang’s ornate, colonial-era gazebo, you can enjoy classic Indonesian cuisine inspired by locally sourced ingredients and traditional cooking styles. 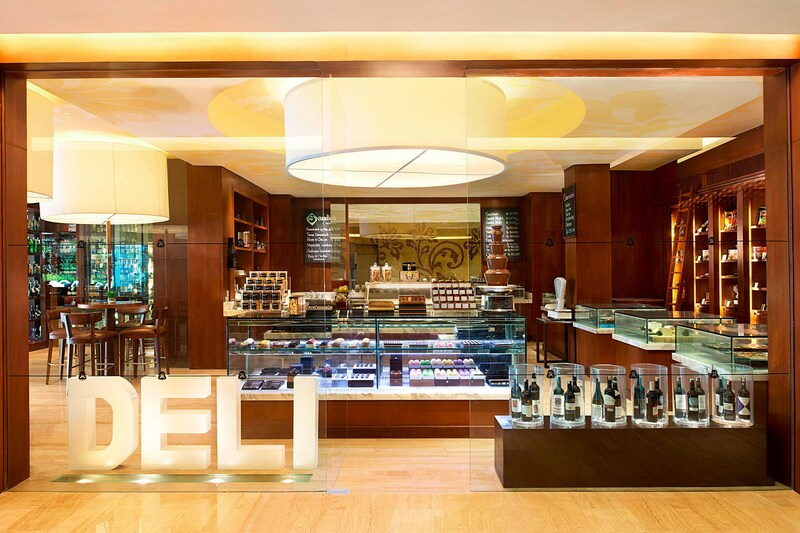 Find “on-the-go” snacks, wines, treats and coffees with a gourmet twist at Gourmand Deli. 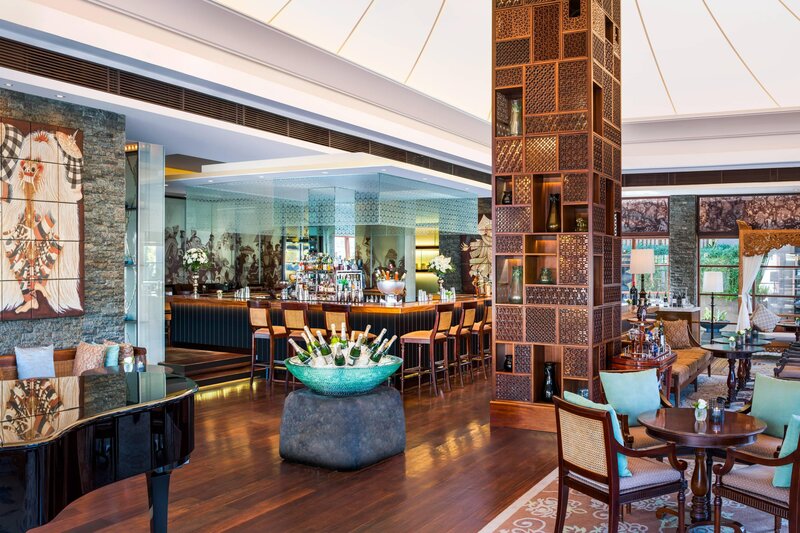 With its alluring indoor/outdoor ambience, extensive Bloody Mary menu and live jazz in the evening, the King Cole Bar is a breezy gathering spot infused with Indonesian elegance. Vista Bar beckons on balmy days at the beach with panoramic ocean views and a swim-up pool bar offering every manner of exotic tropical cocktails. Reserve a table at Kayuputi to enjoy Pan-Asian haute cuisine crafted with the best ingredients locally sourced from land and sea. 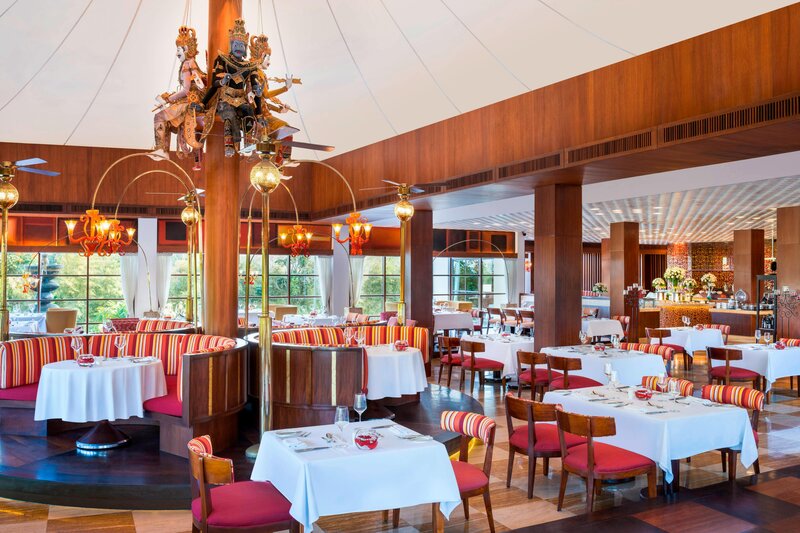 All dishes at this elegant restaurant can be perfectly paired with a selection from the award-winning wine list. 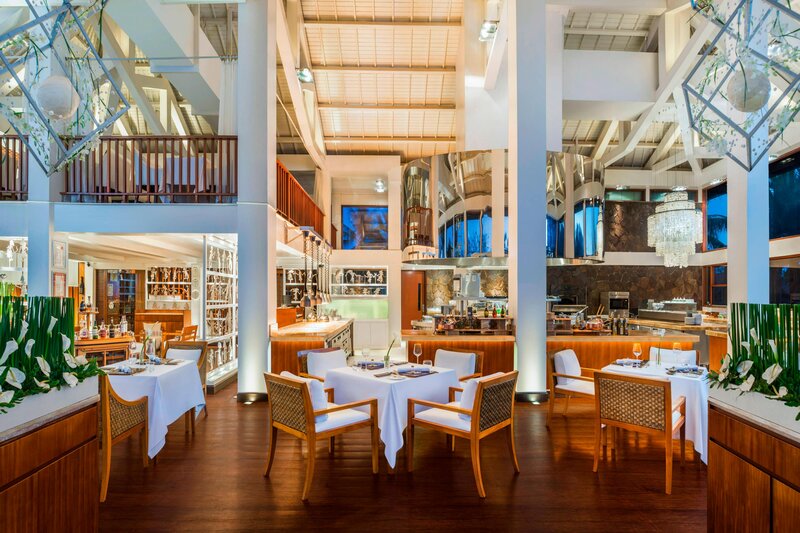 With the ambiance of an Indonesian puppet theater, Boneka Restaurant showcases global cuisine ranging from local Balinese dishes to international favorites. Sunday brunch features three distinctive concepts: buffet, à la carte and endless pass arounds. King Cole Bar features a full bar menu, including champagnes, martinis and exotic tropical cocktails. Enjoy live jazz each evening and don’t miss the exciting ritual in which a sommelier opens a bottle of champagne with a traditional Indonesian dagger. Guests on the go can pick up gourmet snacks or stock a hamper for a beach or Lagoon-side picnic at this quick stop deli with an elegant, upscale twist. Gourmand Deli also features gourmet coffees and treats and customized picnic hampers on request. 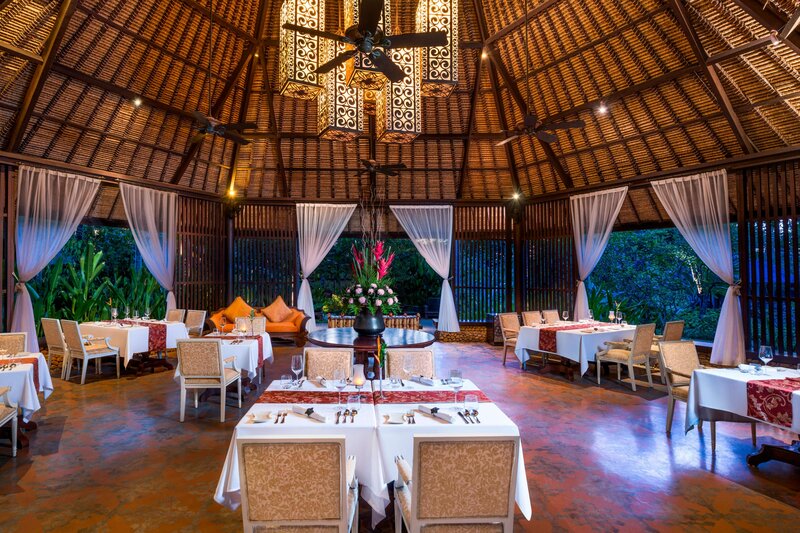 Lavish and grand, this intricately carved gazebo calls to mind the grace and elegance of colonial Indonesia. 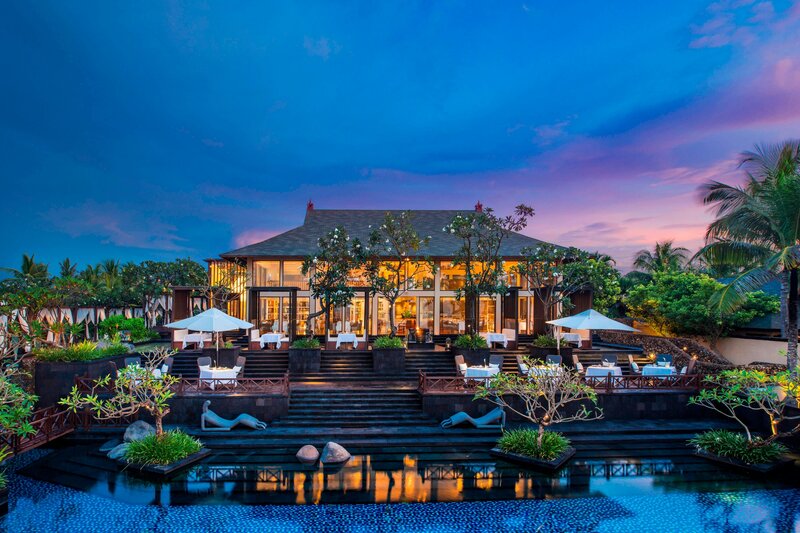 It&apos;s the perfect ambiance for enjoying locally sourced Indonesian cuisine with traditional cocktails and closers like Balinese brem or kopi luwak. 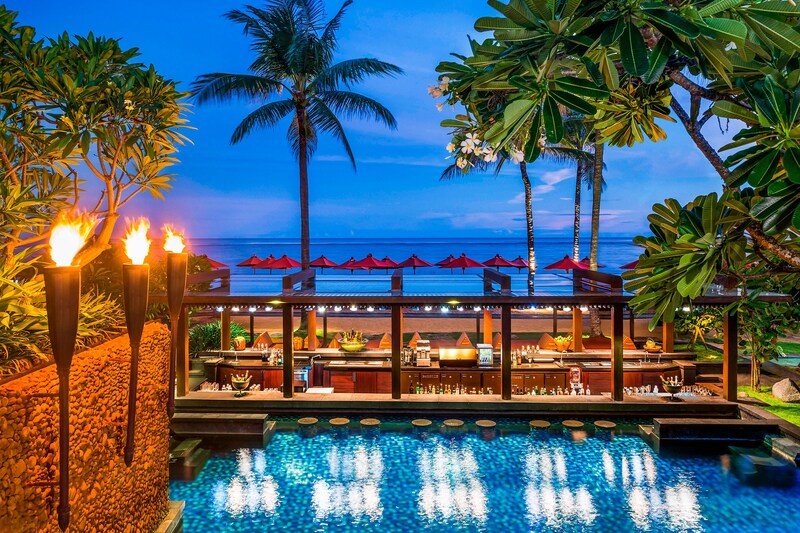 Visit this beachfront, swim-up bar to enjoy panoramic views and a diverse menu of cocktails, beers, wines, champagnes and fruit beverages. If you’re lucky, one of the bar stools submerged in the cool waters of the pool will be available. Nusa Dua Bubu Seafood and Chinese Restaurant offers fresh, grilled seafood prepared to perfection in the cooking method of your choice. Raja Bali boots the authentic Balinese dining experience with sumptuous Balinese food cooked by our Balinese master Chef.